Same Skeptic place, same skeptic time. 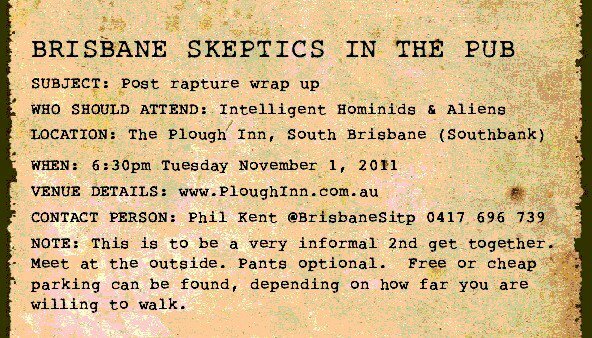 1st November at the Plough Inn, South Bank. Tweet, email, share, G+, Reddit-it, spread the news far and wide. This entry was posted in Meet ups and tagged Invite, Meet up on October 21, 2011 by EspadaV8.